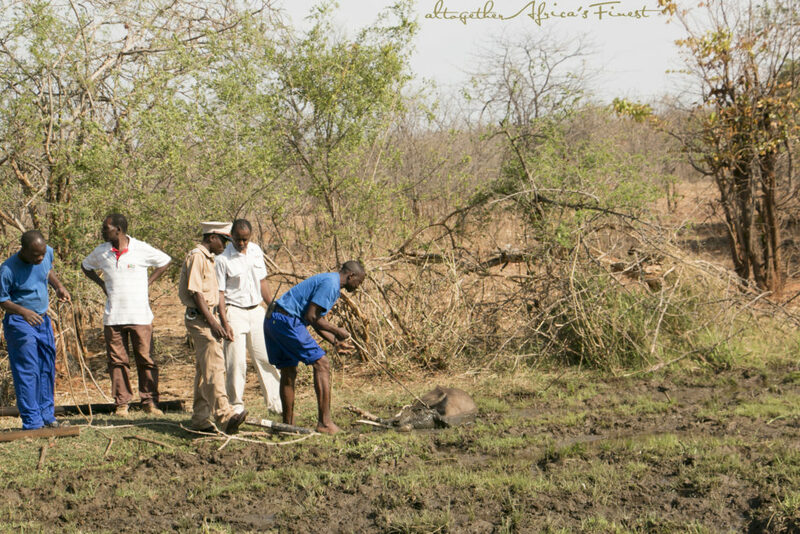 Last week, a local young man in Victoria Falls, Wesley Ndlovu, discovered a buffalo trapped in the mud early near the town. 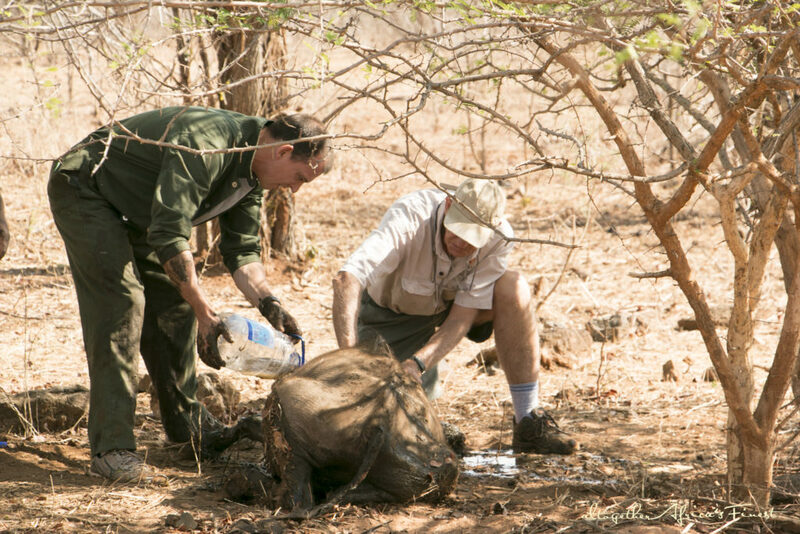 He quickly contacted a team from National Parks and the Victoria Falls Wildlife Trust to help rescue the buffalo from an almost certain muddy death. 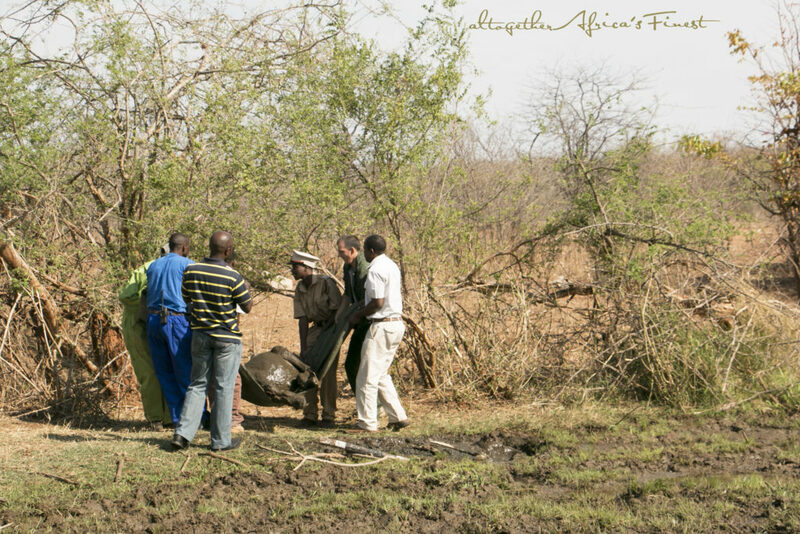 The buffalo was very young–probably still being weaned by its mother–and was very weak from being trapped overnight. He was barely moving by the time help arrived on the scene. 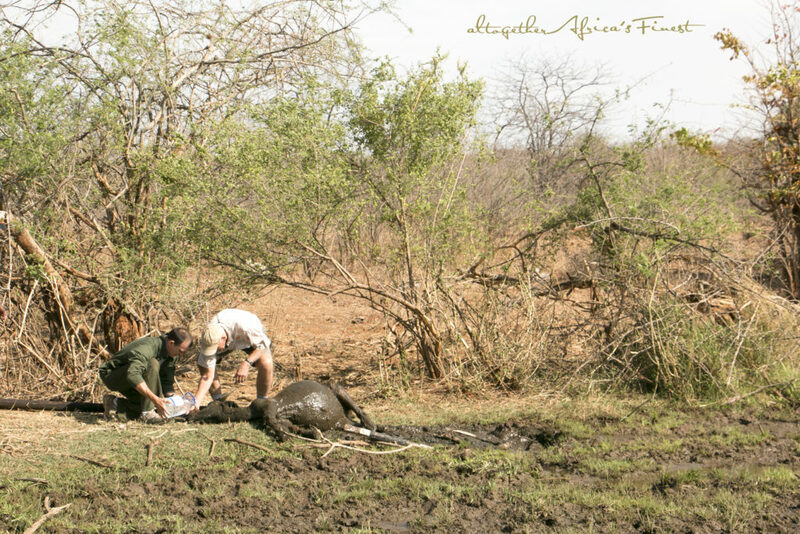 Dr Froggin, pictured here, has moved the buffalo to a safe area and provided antibiotics in addition to a glucose drip.